In the male, the upperside is dark brown with orange markings. 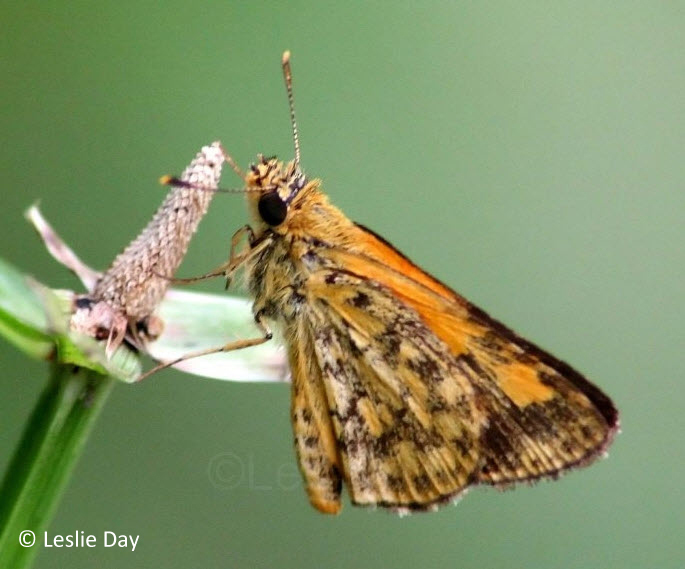 Both sexes are small butterflies and cannot be said to be common. As it is most likely to be confused with the several (and more common) Potanthus and Oriens species, its existence could probably have been underestimated. 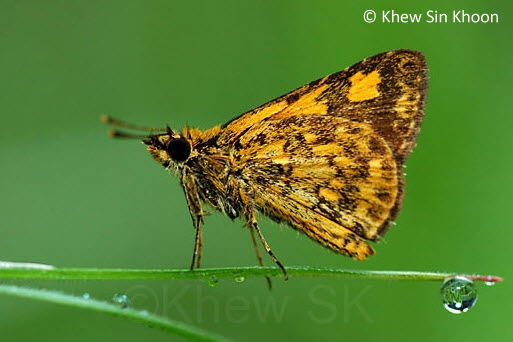 The Bush Hopper is the only representative of the genus Ampittia in Malaysia and Singapore. 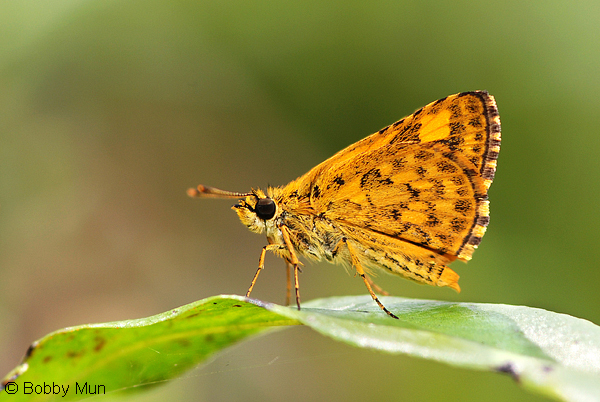 Resembling the Potanthus species, the butterflies are about of the same size and frequent the same localities. 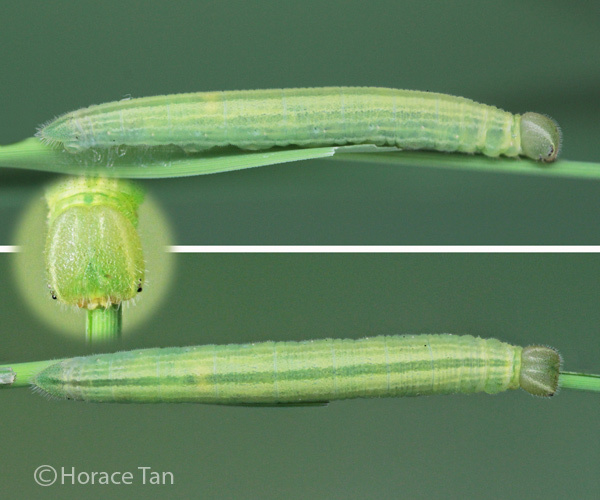 However, the Bush Hopper is very local in distribution, and can be found in certain areas within and on the fringes of the nature reserves in Singapore. 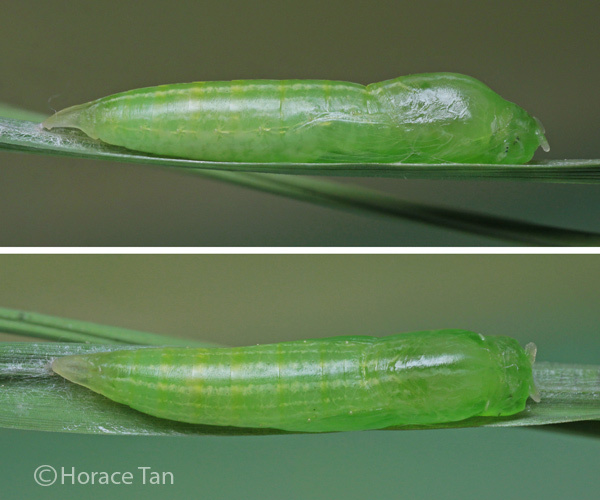 It is believed to feed on various grasses. 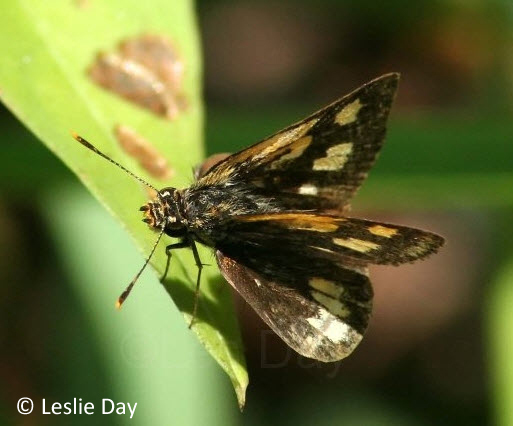 The butterfly flies with the usual Hesperiidae "hopping" flight and rests with its wings folded up or half open as it basks in the sun.